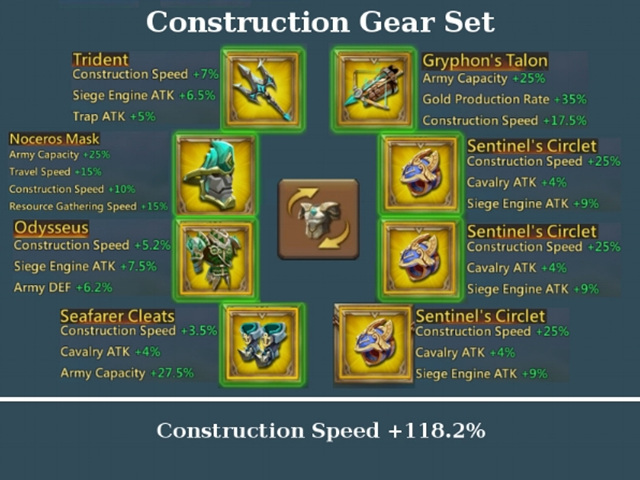 "What Gear or Talents do I need for X?" This gets asked all the time by new and even older players. 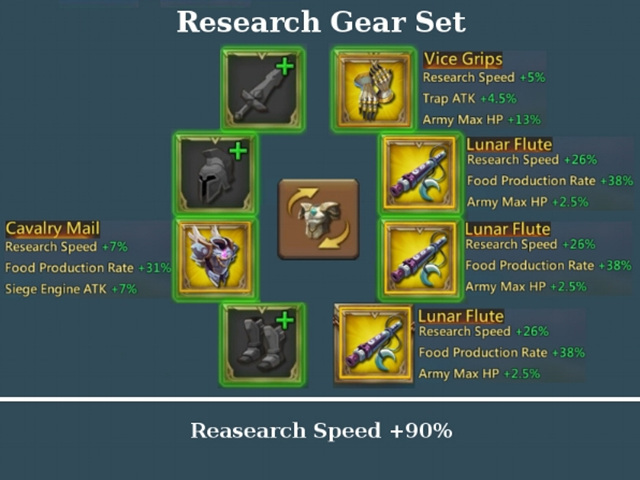 1% drop rate materials from monster hunts. 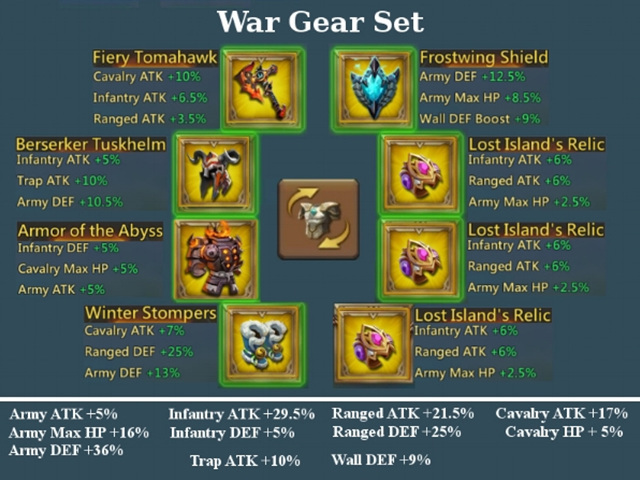 So for people with little money and poor luck, like myself, here is a free-to-play guide to Gear and Talents. materials on lower level items. Level 0-40 go relatively quick. 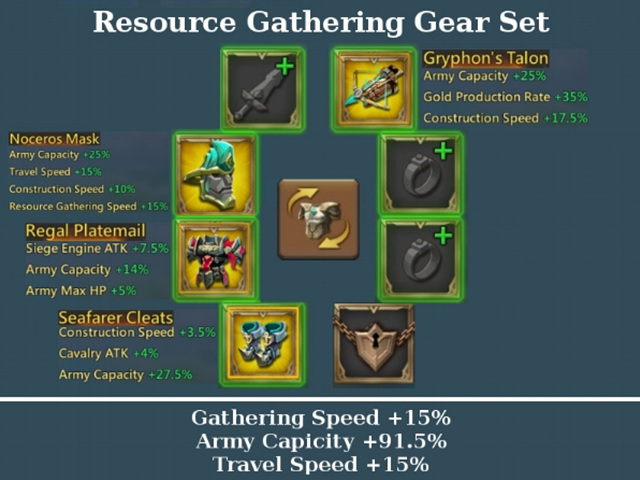 *The Amehtyst Boots are only .5% better and the Seafarer Cleats are used for Gathering, so focus on the Cleats. *An alternative body armor piece is the Odysseus that you crafted for Construction. Training Speed and Gathering Speed as you see fit. 5% boost to Army Attack. With any leftover points fill in Infantry, Cavalry, or Ranged Offense III as you see fit to work with your army composition. Next Next post: Lords Mobile: Is it Good to Have 2 Barracks?